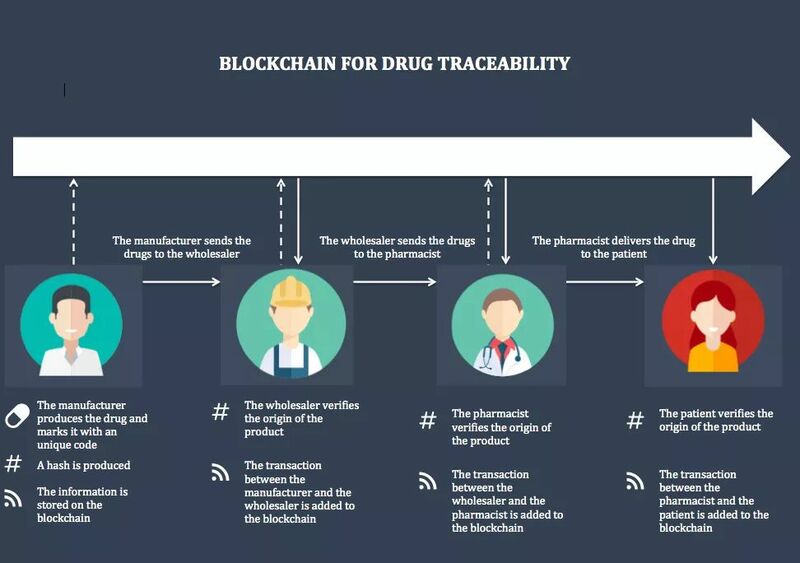 Let’s understand what is Blockchain with an example, say Healthcare. To deliver holistic patient care, businesses from various industries have to line up, function together in harmony, not just ‘operate well’ as individual units. For example, a patient going through a health crisis, engages with a Diagnostic lab, a Hospital, a Paramedical support provider, a Pharmacy, a Health insurance provider, a Nutrition supplier, a Fitness center and so on. Today, we have all these businesses performing in silos, as disjointed units, creating multiple versions of patient information (also not digitally storing all information), creating value in fragments not as a whole, and failing to enable other participants on the “patient – care value chain” to make well informed decisions. Information asymmetry, non-verified medical records and fragmented patient experience are all a result of a healthcare ecosystem without blockchain. 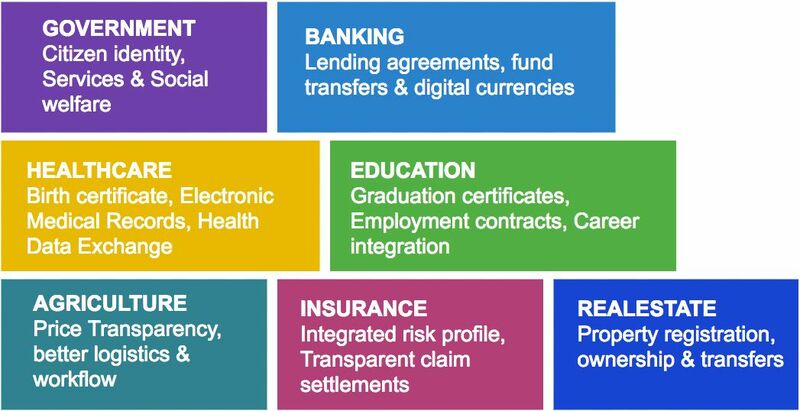 Now that we’re able to visualize the challenge, let’s re-imagine a ‘Blockchain ready’ healthcare ecosystem, where various businesses come together, line up as a connected network, operate in an environment of high trust, transparency & secure information exchange, co-operating to create an integrated value for the consumer! Congratulations! This means, we can now digitally record real-world moments of consumer engagement, get this information verified by participants on the “value creation chain” and share it with everyone on the chain, so they could use this information to deliver maximum value. This worldwide interoperability, transparency and responsible information exchange between various forces within an industry or across industries or between industries & the government, is essential for delivering the highest level of care to the consumer. With a Blockchain powered ecosystem, we can enable Businesses, Governments and other welfare organizations to use authentic information to it’s highest potential and deliver greatest possible value. Ability for businesses anywhere in the world to participate in a “value-chain” to operate with other businesses to provide an integrated consumer experience, with access to a single source of truth and ability to update records of transactions & engagements on a secure, shared database, so all participants on the chain can see and benefit from. Ability for all parties to validate an individual’s identity, the control is no longer with one party. With this distributed verification mechanism, there’s higher level of trust in the authenticity of data. Example, a citizen’s identity could be verified by multiple Government organizations like the – Election department, Aadhaar department, Passport office, Property registration department and Police department. As a result, opportunities for frauds are limited. Blockchain enables us to create an environment where a computer system generates a contract between parties, and automatically initiates actions when predefined conditions are met / not met. Example, for a borrower to get an invoice financed, he’d get it validated on the Blockchain by his customer (who is invoiced) and once the invoice is validated on the Blockchain, system can automatically generate a smart contract with repayment terms, for the borrower & lender to digi-sign and move forward. When invoice financing happens on Blockchain, each invoice is identified with a unique digital id, which eliminates the possibility of reusing the same invoice for financing from elsewhere. Where else could we use Blockchain? Get in touch with us to help you conceptualize, articulate, architect and build an online platform involving participation of multiple organizations on Blockchain or if you’d like to know what cloud infrastructure is essential for running a Blockchain powered platform.